It always seems impossible until it’s done—Nelson Mandela August 15, 1947. This week, India will observe 71 years of Independence. Milestones are markers that commemorate how far the nation has travelled. It is an occasion, to paraphrase the legendary Madiba, when one must reflect and remember to celebrate “milestones as we prepare for the road ahead”. So how is India doing? A people convinced by Mahatma Gandhi’s idea fought for freedom. The nation became a republic with the adoption of the Constitution. India adopted an audacious template. At the dawn of independence, barely 20 per cent of the populace was literate and eight of ten persons were below the poverty line. Yet the founding fathers chose universal suffrage. In tribute Indians lived up to the faith and sustained the idea and democracy. In 2018, India is the fastest growing democracy and, at $2.6 trillion, among the top five economies of the world. For sure it has invalidated Churchill and his ilk. The contentious question anniversaries provoke is, ‘Could it have been done better?’ Assessment requires review of whether the points of inflection were seized upon and leveraged. One way of auditing the past is to examine how well fellow travellers did. In a competitive globalized world, referenced comparisons are inescapable. The post-war period saw nearly a dozen countries liberated as people wrenched freedom from despots and occupiers—these included Indonesia, India and sibling Pakistan, Myanmar, Sri Lanka, South Korea, Jordan, Israel, China, Japan from post-war occupation, followed by Malaysia and Singapore in the next decade. The basis for evaluation and comparison is context and legacy. Indonesia, India and South Korea as also Malaysia and Singapore share a similar context. They are different but democracies, multicultural societies, were colonized and were born in August as free nations —and it turns out that more than 30 countries qualify for the tag of August Republic. How well did they do? India trails Indonesia, South Korea, Malaysia and Singapore as also Sri Lanka on the global human development index—India trails at 131 of 168 countries. Life expectancy in India, at 68, is what all of them had achieved in 1981. Each of them does better than India, which is ranked 100 in the global hunger index—strife-torn Iraq does better and some states in India are in the company of Sub-Saharan nations. Yes, at $2.6 trillion, India’s GDP is twice that of Indonesia and several times that of the others. How does this translate at the granular level? India’s per capita income, at around $1,900, is half of Indonesia’s, one-fifth of Malaysia’s, a tenth of Korea’s—and Singapore’s per capita income is over 25 times that of India. Malaysia has the lowest poverty ratio in Asia and India the highest—by various estimates, around 18 per cent live below the poverty line. In fact, Indonesia and India share many commonalities. Indonesia, which got freedom in 1945, was led by Sukarno and India by his friend Jawaharlal Nehru. Both reigned for two decades. 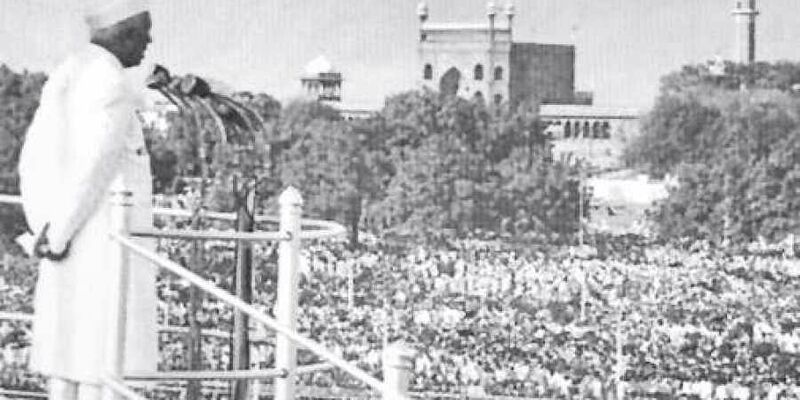 In 1966, Indira Gandhi took charge of India as Prime Minister and Suharto as President of Indonesia in 1967, and both are described as authoritarian regimes. In the late sixties, India and Indonesia had similar poverty levels and similar human development indices. By 1990, Indonesia had invested in education and health and brought down its poverty level from 59 per cent to less than 10 per cent, while India was still at 45 per cent. In 1964, shortly after the debacle against China, Nehru appointed a committee under Homi Bhabha to assess India’s competitive advantages. The Bhabha committee listed hardware and software development as areas in which India could forge ahead. India missed the hardware bus and caught the software train in the 1990s. Between them, South Korea and Malaysia hold over 26 per cent of the global share of integrated circuit exports. What did the Tiger Economies—Korea, Indonesia and Malaysia—do differently? They chose to be outward-looking and India was inward-looking. While India persisted with a closed economy till 1991, they embraced trade and investments to build their economies. The Koreans came to India to observe steel-making at Bhilai when C Subramaniam was steel minister. Singapore Airlines had sought help in training and systems from Air India when JRD Tata was at the helm. Steel-maker POSCO and Singapore Airlines grew to be global giants. Sure, India’s population is more than three times that of all four countries put together, but size and scale, which weigh on both sides, didn’t daunt China. In the seventies, India and China had similar per capita incomes. In 2018, China’s GDP is six times that of India and per capita income, at nearly $9,000, is over four times that of India. Between 1991 and 2017, India’s per capita income rose six times while that of China went up 26 times. You could argue that China is an “autocracy”, not a democracy. The question is, can democracy be the fall guy—and the “autocracy” beats India on most human development indicators? Current life expectancy at birth and literacy in India are what China had achieved in the eighties. In the end, the lament about India is not about what it could not do but what it could but did not do! Nobel laureate and author of Administrative Behaviour, Herbert Simon, once said: “The choices we make lead up to actual experiences. It is one thing to decide to climb a mountain. It is quite another to be on top of it.” What is true for individuals and corporations is equally true for nations. Sir what a beautiful way to end essay love it and agree in totality. This is the truth of our leaders who ruled us. Only one thing left your thoughts on current path of India.